Hopefully, you are planning your getaways for this summer now! Consider a trip to Santa Fe to see the largest and most prestigious juried Native arts show in the world. The Santa Fe Indian Market (SWAIA.org) is a yearly event held during the third weekend of August. Over 1,100 Native artists from the U.S. and Canada sell their artwork and the event attracts about 150,000 worldwide visitors. Many who are professional buyers, collectors and gallery owners from all over the world. It is a unique experience because you get to interact with the artists and often there are generations of families sitting under one booth cover. Some artists have been participating in Indian Market 10, 20, 30, 40, 50 and even 60-plus years. The Indian Market is a direct reflection of the lives of Native people and the communities they represent. Their artwork is a universal language that speaks to our heart and becomes a part of our lives. In addition, the week preceding market is packed with events in Native film, literature, music, fashion and visual art that lead to Indian Market weekend. Even if you are just a “Looky Lou,” it’s a fun way to spend a weekend or more! 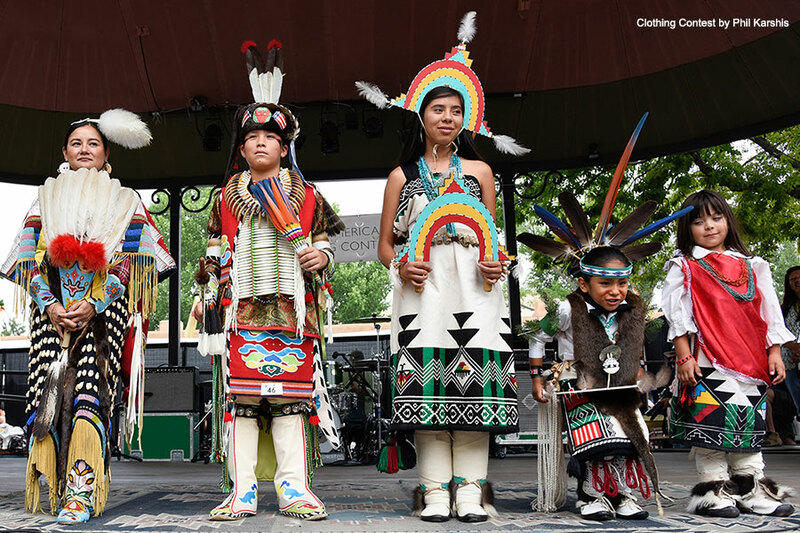 Click here to go to the Santa Fe Indian Market website, put on by SWAIA. Click here to check out homes in Santa Fe. If you are in Santa Fe, let us show you a home or two!